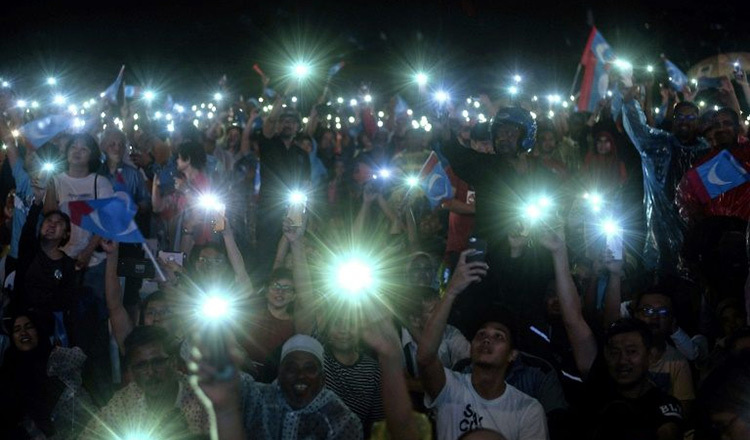 The May 9 general election in Malaysia provides many valuable insights and lessons as well – and could serve as a wakeup call to Cambodia and Cambodian politicians. The first lesson to be learned from the aftermath of the Malaysian election is that the rule of law is thrown out in favour of political expedience. ‘Real politik’ reared its ugly head just days after the makeshift opposition, comprising unusual bedfellows, secured a majority needed to form the new government. The victors moved swiftly and almost immediately went on a witch-hunt – targeting the past administration’s leaders. 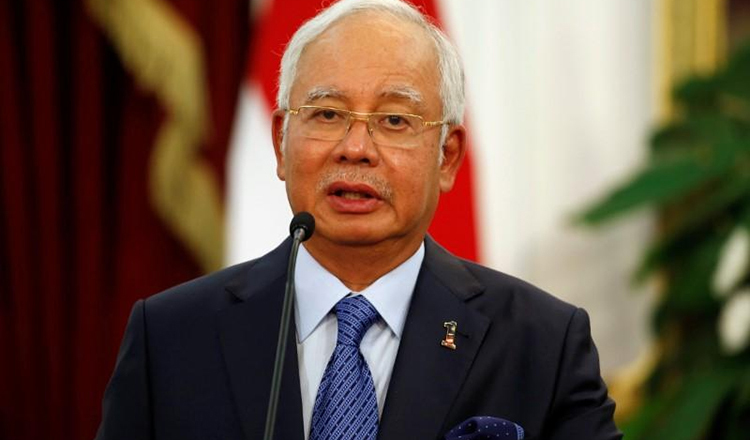 No decorum was accorded to defeated Prime Minister Najib Tun Razak and his wife. In the absence of any proven guilt, the spectacle was akin to being hauled before a kangaroo court based on mere hearsay and personal vendetta. The second lesson was that the rule of law was conveniently ignored when the rag-tag opposition front – Pakatan Harapan or “Coalition of Hope” – was given instantaneous recognition just days after the opposition’s candidate had been appointed as minister of interior. Earlier the Registrar of Societies confirmed that the registration of Pakatan Harapan could not be processed due to incomplete documents submitted by the two of the coalition’s partners. Questions need to be asked on why a blind eye now has been turned to a key requirement in the Societies Act 1966. The third lesson that needs to be learned is that coalitions, including the National Front coalition of defeated Prime Minister Najib, will not last the test of time. For the National Front, though there was some form of cohesiveness amongst the various component parties with a common agenda of shared survival, after 60 years the fissures began to set in. With the current new ruling coalition, the cracks and fissures are already beginning to show with conflicting signals and statements being sent out to the public, which makes them wonder, who is in charge in Pakatan Harapan. Many are beginning to question whether this is just a marriage of convenience, with Pakatan Harapan not having an agenda for the country’s development beyond toppling the ruling party. The fourth lesson to be learned – and it is very applicable in the Cambodian context – is that the leader of the ruling party must not shy away from learning the truth at any cost. He must be able to open himself up to listen to other sources and not just limit himself to ‘pleasantries’ from the advisers and members of his inner circle. The truth sometimes hurts and he must not brush it aside, in favour of just what he wants to know. Mr Najib was presented with a very rosy picture of the election outcome by his advisers who failed or refused to read the on-the-ground signals. This resulted in the National Front coalition taking things for granted and displaying arrogance, ignoring the opposition’s craftiness in their ever changing campaign and PR strategies and their clever public display of party logos to create a so-called ‘brand loyalty’ among their electorate. In the end it was a crushing defeat for the National Front for failing to heed the unpleasant truth. In the Cambodian context, in 2013, Prime Minister Hun Sen was fed the same misleading information and crowd numbers or exaggerated crowd numbers at ruling party rallies were used to gauge the electorate’s response level. Constant flow of information, or rather wrong information, not deliberate misinformation, was fed to the CPP party leadership. The end result was a crushing loss of 22 seats in the National Assembly. The failures of the little Napoleons at the grass roots level led to a ground swell of disdain and anger against the prime minister, even though the prime minister himself was not entirely responsible for their actions. This time around, the prime minister, who will again lead the CPP into its first general election with him at the helm as party president, should be wary of the ‘small’ parties, the ‘silent’ former supporters of the now defunct CNRP and the so-called ‘fence-sitters’. To just rely on CPP members to enable them to coast to victory may not be as easy as predicted. Confidence must be tampered with caution and information must be carefully reviewed and analysed. To this effect, an outside think tank which has no influence on the CPP’s overall strategy must be roped in to provide the powers that be with cold hard facts, reliable statistical data and sound trend analyses to avoid any remote chance of a repeat of the 2013 election result.